The ClearSound is the next generation of ELACIN hearing protectors. It is provided with a brand new (patented) sound filter concept, offering improved transparency for higher frequencies. Due to this significantly improved attenuation characteristic, it provides very good speech intelligibility and work sound and warning signal perception. Thanks to this quality, the ClearSound provides a high acoustical wearing comfort and eliminates the need for removal during communication. The wide range of filters includes low attenuation values preventing uncomfortable and dangerous over attenuation at lower, but still harmful noise levels. 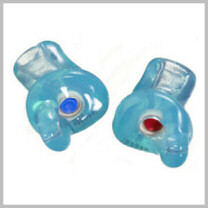 The ClearSound is a compact hearing protector provided with a small grip, which makes it easy to fit the protector and remove it from the ear canal. It is standard manufactured from soft, translucent turquoise-coloured FlexFit material (60 Shore) and comes standard with an optional cord with shirt clip. 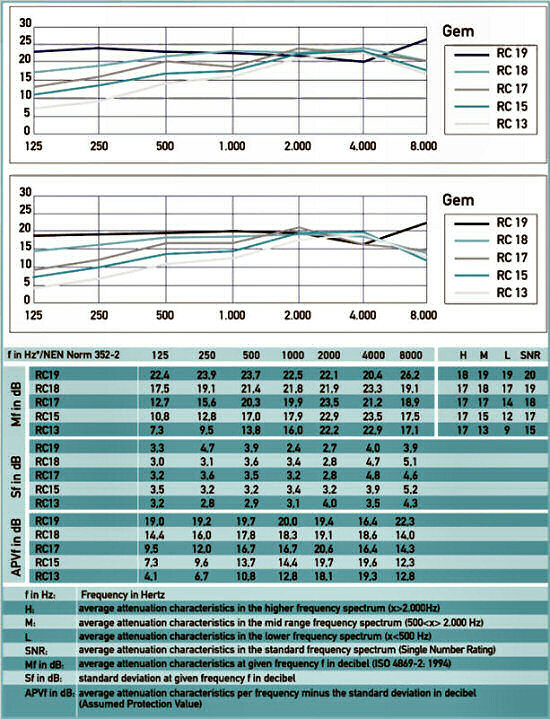 There is a choice of 5 filter types, depending on the noise level: the RC13, RC15, RC17, RC18 or RC 19 filter. No need for removal during communication, etc.